Where do you get your inspirations for cooking? This is the question frequently asked from newly made friends. When I started to cook, I always have this mentality from my parents that we should buy ingredients when it is only on special. It helps narrowing down my decision of which dish that I should create. SOSCuisine is the ultimate reference website for Canadians to seek out deals of the week of all the supermarkets in your hometown. Pretty convenient, isn't it? It does happen that I lack of inspirations especially if I have to respect the cooking theme. Just for a heads-up, the cooking theme for tonight will be any dish that are "stacked", "skewed" or "layered" like crostinis, brochettes, lasagnas and mille-feuille. I usually end up going through my pile of cookbooks or food blogs for inspirations. I usually tweak the recipe according to what's available in my fridge and my pantry. 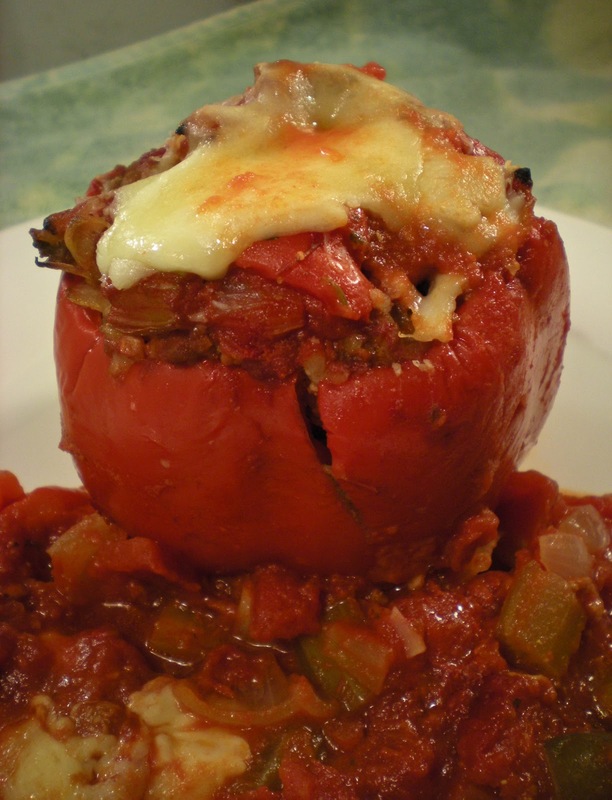 Nothing beats the good old taste of home cooked food especially for this stuffed bell peppers, a classic North American dish. It is essentially meatloaf inside a bell pepper. 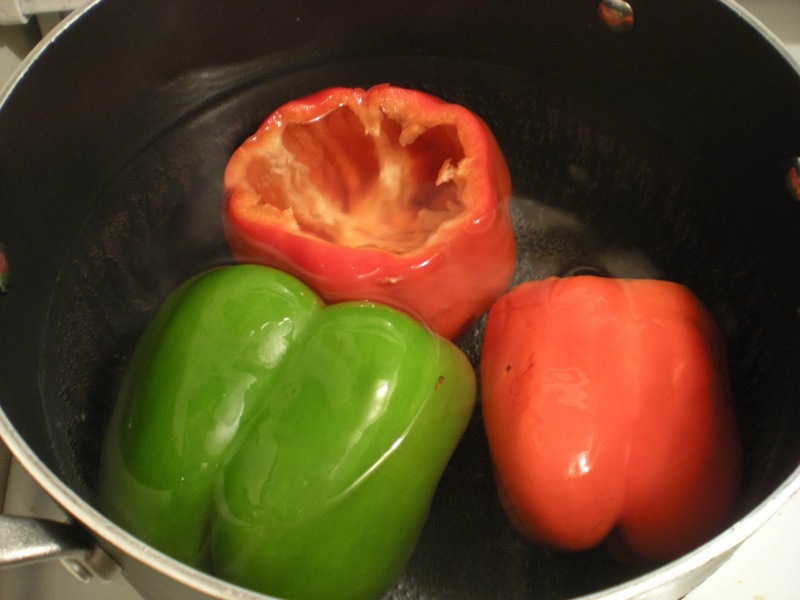 These bell peppers are usually baked with a coating of olive oil or a pool of sauce. 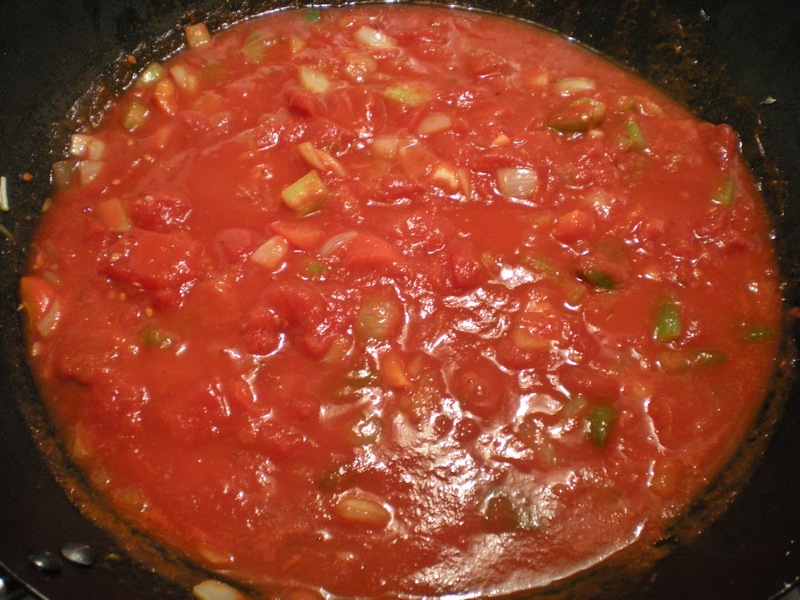 I decided that my sauce should be the classic Italian American marinara sauce. 2. Meanwhile, cut the tops off the bell peppers. Chop edible part of tops and set aside. Remove seeds in cold water. Submerge bell peppers in boiling water and cook for 5 mins until the flesh has slightly softened. Drain peppers and set aside to cool. 4. In a large skillet, heat oil over medium-high heat. 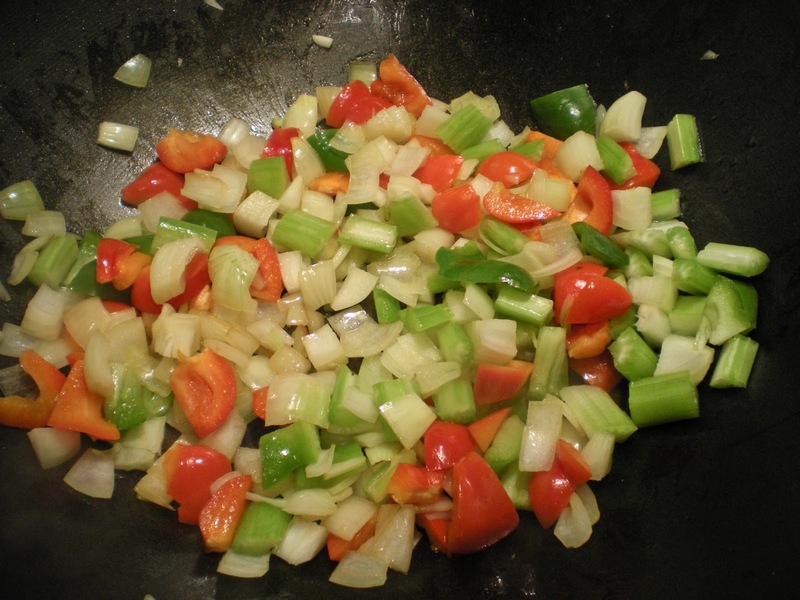 Sauté bell peppers from tops, onion, celery for about 5 mins, until onions are translucent. 5. 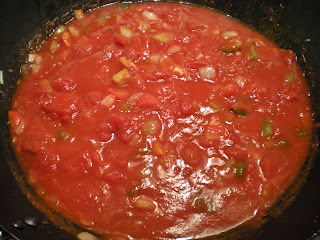 Add diced tomatoes, tomato sauce, tomato paste, garlic, oregano, basil, salt and pepper. Bring to a boil and simmer for 10 mins. 6. Meanwhile, in another bowl, combine egg, Worcestershire sauce, ground meat and Parmesan. 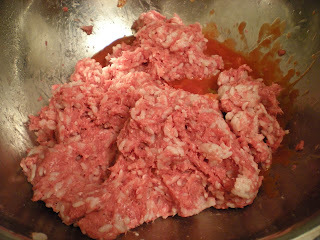 Mix in cooked rice and 1 1/2 cup of the marinara sauce. Season with salt and pepper. 7. Stuff peppers with meat mixture and place in a 13'' x 9'' baking pan. Create a 1/2-inch hole in the middle of the stuffing to ensure even cooking. Pour the remaining tomato mixture over the stuffed peppers. 8. Bake for 60 mins. 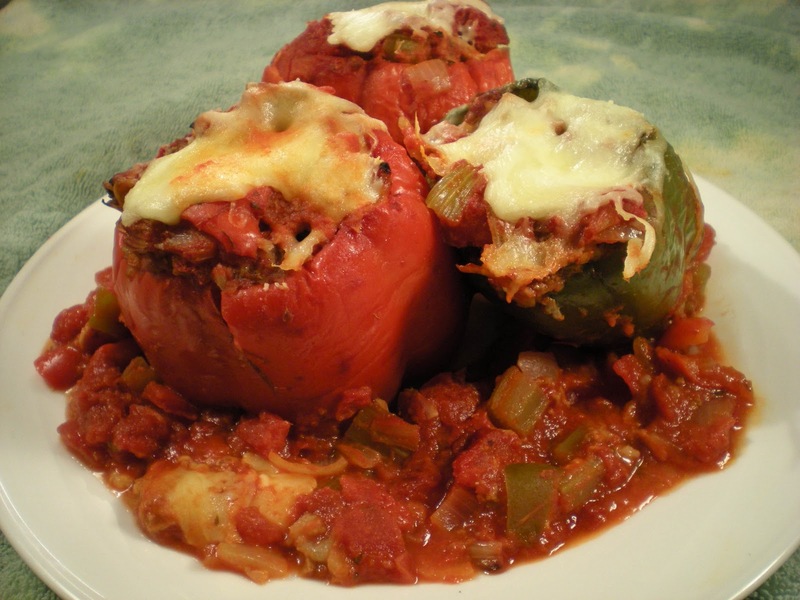 Sprinkle with a little Parmesan and Mozzarella cheese on top of the stuffed peppers before bell peppers are done. Bake until cheese has melted. Serve. Ellerinize sağlık. Çok güzel ve iştah açıcı görünüyor. I made something similar but stuffed in brinjals. Very addictive and inviting stuffed bellpeppers.. This looks wonderful. I love stuffed peppers and yours look so delicious! Love the bell peppers.. So colorful! 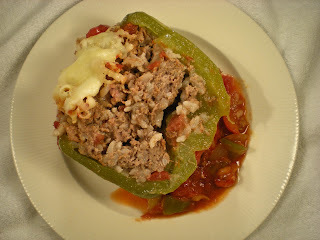 I would love those stuffed sweet peppers with some tagliatelle! Stuffed bell peppers is a warm, comforting meal. I grew up eating this meal often. I love all these flavours, they remind me of my chilhood! Haven't made stuffed peppers in years. Yours look so tempting; I can almost taste them. Those stuffed bellpeppers look beautiful...! I can even imagine eating them with rice ;). Hi Victor! Thanks for stopping by my blog! Yolu gave me the chance to meet you as well. 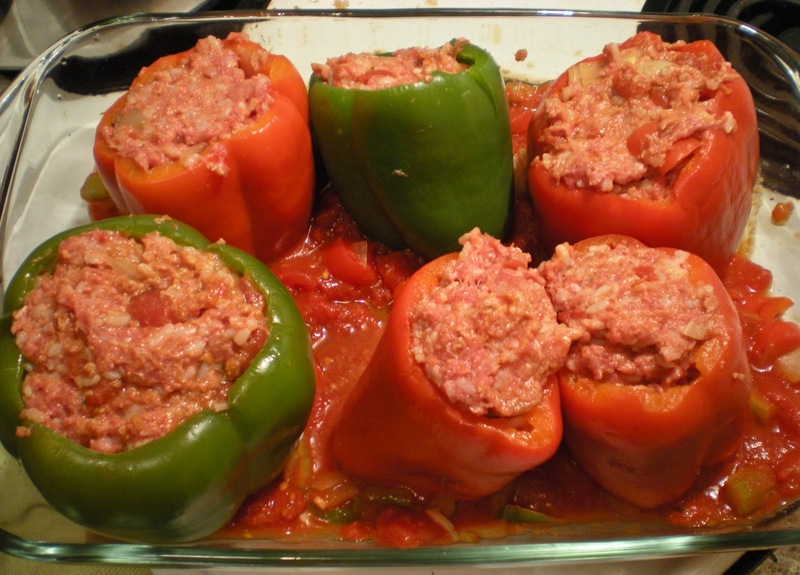 We stuff bell peppers too in Greece mainly with rice or a combination of rice and ground beef and many herbs! Your tweak looks very appetizing as well. That's a classic, Victor. I haven't made it in ages and always loved it too. Excellent recipe and a good reminder to serve it soon! this looks great :-) so did you have your smoothie? This look simple and full of nutritious. This looks awesome. i love stuffed bell peppers, that marinara sauce is die for. They look great - I love stuffed peppers. This is so delicious especially with melting cheese topping. Interesting: I never boiled the peppers before stuffing them. Do you think that it better than just baking them? Sounds delicious, carbs, meat and veges all in one, nice! hi, good idea to stuff the cooked rice in there!